Celtic went into their second home game in a row, looking for another three points before the two away games before the Christmas break, and boy did they get what they wanted. This was possibly the best performance of the season so far, with wave after wave of attack, from a largely homegrown pool of talent. Brendan Rodgers was bold in his selection and kept faith with the youthful players who had played so well in midweek. It all started so brightly, with Rogic pulling the strings early doors. Great passing from the Aussie talisman giving opportunities for Mikey Johnston and then setting up a great pass for Anthony Ralston, who’s cross was met by Sinclair at the back post, but narrowly missed. 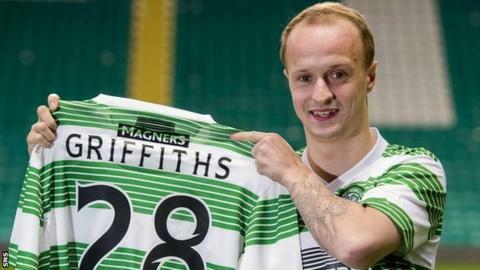 With the news coming out today that Celtic star Leigh Griffiths would be taking some time away from football for personal reasons, I think it's time we show our appreciation and support to a man who has truly become one of our own. Rampant, ruthless, scintillating and thrilling. Just some of the words that could be used to describe Celtic’s first half performance that blew title challengers Kilmarnock away and wrapped up a game that was considered a banana skin. In the last four games between the two sides the Ayrshire men held the upper hand with two wins and two draws. Stevie Clarke has this Kilmarnock side playing with belief and a flair that could have caused all sorts of problems on a day where top spot in the league was the prize at the end. It feels like an age since we have been back home on domestic duty and the fans were up for this on a dark, dank, typical Glasgow day. On-form midfielder Ryan Christie was the single goal scoring hero for the Hoops as Celtic secured their 18th League Cup title, and 7th trophy in a row against Aberdeen on a rain-soaked Hampden pitch. 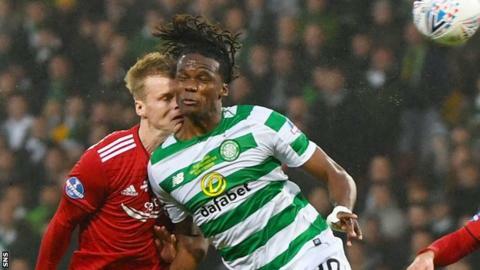 Having previously spent 15 months on loan at the Reds, Christie's pivotal goal for Celtic against his former team to secure the title was a dream come true for the young Scotland midfielder - and one described by manager Brendan Rodgers as being made by "the footballing Gods". Scott Bain started between the sticks for Celtic, with Rodgers sticking by the current no.2 who has started in every game up until now in the League Cup this season, Craig Gordon taking a seat on the bench. This was the only change from the previous game versus Rosenborg, with one major name being deemed fit enough to make the bench - influential leader and captain - Scott Brown.